Costa Rica FAQ: Weather, Healthcare, Driving, Isurance, etc. Q: I’m a little anxious about getting hurt and/or sick during my trip to Costa Rica. What is medical care like there? Medical care in San Jose is great, but may be more limited in areas outside of San Jose. There are small hospitals and clinics with doctors scattered throughout the country and typically hotels have doctors on call 24 hours a day. Travelers may also find most prescription and over-the-counter medications available at any of the pharmacies throughout the country. The public hospitals and clinics are free but may ask for a donation. Private doctors and hospitals often expect immediate cash payment for health services, and U.S. medical insurance is not always valid outside the United States. A list of local doctors and medical facilities can be found at the website of the US Embassy San Jose, Costa Rica. An ambulance may be summoned by calling 911. For minor medical needs, it is recommended that you bring a personal first-aid kit. 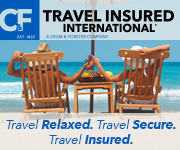 We highly recommend that you set up Travel Insurance for your trip. Q: I am a little older and my wife and children want to do that canopy zip line. They think I can do it, but I am not sure. The canopy / zipline tours are just one of the options for your adventure tours you can book while you are in Costa Rica. Contact us for a detailed description of all of the tours that are offerred for your itinerary, so we can assure that you are confortable with your choices. Q: I’m packing for my 10-day adventure. What do I bring? Less is better when packing for your trip to Costa Rica. See “Trip Tips” for our suggested packing list. In general, there should be laundry services at hotels and definitely within host family houses. Be sure to pack a camera to capture the beautiful scenery and magical moments that await.